Would you like to book a one on one session at our studio in Portland, Oregon? Find your ideal cuddle buddy below, and book your appointment below! 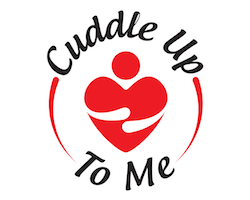 Our studio is located at: 6230 NE Halsey St, Portland, OR 97213 or use the Contact Us page for information on having a cuddler visit you in the Portland Metro area instead. Kira is our chameleon providing nourishment for the soul through laughter, compassionate listening, and above all else, an incredible grounding energy. You will leave feeling like you can truly breathe again. Book an Appointment with Kira Here! -Lived in eight states and enjoys traveling, but recently decided to make Portland her permanent home. -Loves to help people learn to accept themselves, find productive and healthy coping skills, as well as develop life skills necessary to thrive. -Small and snuggly with a motherly presence and open mind for all walks of life. Joey is happy to guide you through or follow your lead to create the experience that fits you. With a highly developed sense of intuition, a strong belief in kindness through connection,and the confidence to ease even the most troubled soul, Joey is here to help. Book an Appointment with Joey Here! Plays piano, saxophone, ukulele, and more! Cora specializes in creating safety and comfort for those who may be treated differently. She’s a happy space holder who loves squishy cuddle poses and losing track of time listening to what makes you who you are. Cora is gentle, sweet, and able to listen without pity, shame, or judgement. For a calm and uplifting cuddle try a session with Cora! Book an Appointment with Cora Here! Relaxed space holder with a kind and quirky spirit! Linn’s calming demeanor welcomes openness, acceptance, and nurturing through connection in many ways. Squishy cuddles, or simple hand holding, with Linn you may leave here feeling uplifted, melty, and knowing that you are seen and accepted exactly as you are. Book an Appointment with Linn Here! Simplifier of chaos, healer of hearts, and curator of calm. Olivia is a warm, compassionate, and nurturing soul. She loves meeting people where they are with unconditional, uplifting support. A session with Olivia will leave you feeling like your heart has been hugged. If you feel misunderstood, invisible, or lost in life consider Olivia for your next cuddle. Olivia has mastered the art of supporting humans through crisis, trauma, and everyday challenges. With Olivia’s support we will help turn your struggles into cuddles and make the world a more manageable place. Book an Appointment with Olivia Here! – Professional Cuddler since 2013 seen in over 300 interviews worldwide! A session custom tailored to ensure you know you are loved and that you matter…with a dash of homework to ensure you are growing and developing into the best version of yourself. With over 130,000 professional cuddling minutes so far Samantha is sure to have the skills to ensure your comfort, safety and smile. Book an Appointment with Sam Here! We have gift certificates available. If you know someone who could use a cuddle, get them the perfect gift!